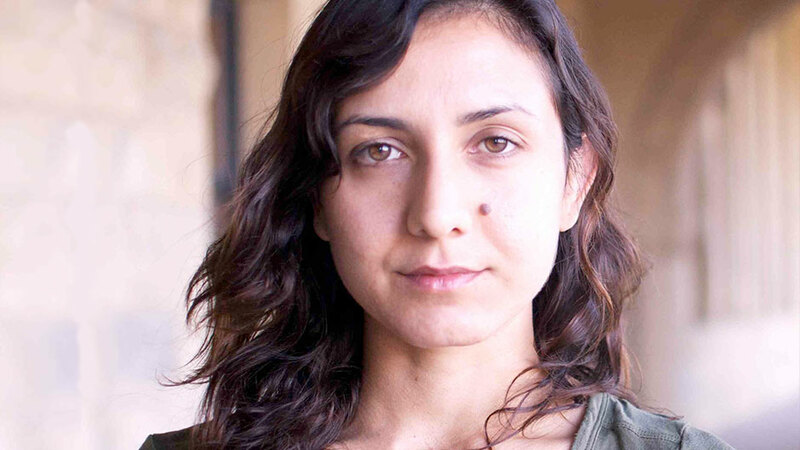 Ottessa Moshfegh is one of the most exciting voices in contemporary fiction. A fearless explorer of the unexpected, Moshfegh approaches the lives of characters living on the margins of society with precision, compassion, and a blackly comic sensibility. Her novel Eileen was nominated for the Man Booker Prize and her short story collection, Homesick for Another World, was named a New York Times Notable Book of 2017. Her most recent novel, My Year of Rest and Relaxation, was released in the summer of 2018. Her talks provide insight into the creative process of an incisive and original voice in literature. 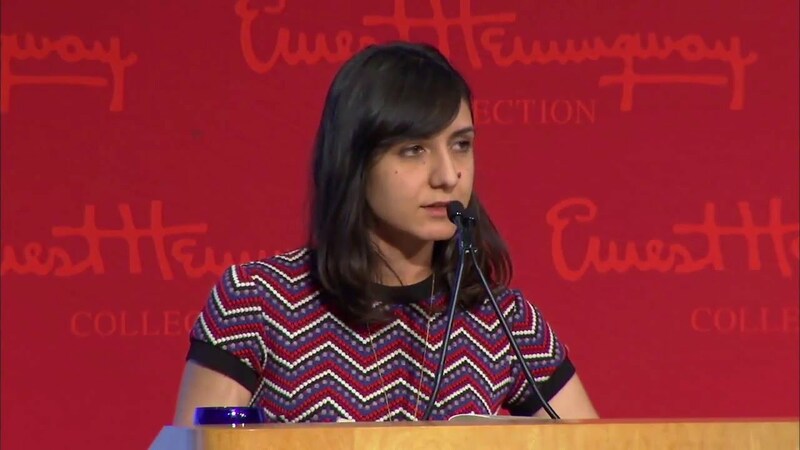 Ottessa Moshfegh has been heralded as one of the boldest voices in fiction since the publication of her debut novella, McGlue, a work of historical fiction released shortly after she earned her MFA from Brown University. McGlue was the inaugural winner of the Fence Modern Prize for Prose, received the Believer Book Award, and was optioned for film by Vice with a screenplay adaption written by Moshfegh. The success of McGlue quickly earned Moshfegh a reputation as a uniquely daring writer, cemented by her next novel, the noir-inspired Eileen. An audacious plunge into the mind of a one-of-a-kind outcast, Eileen was named a book of the year by The Washington Post and The San Francisco Chronicle, nominated for a National Book Critics Circle Award, short-listed for the Man Booker Prize, and won the PEN/Hemingway Award for debut fiction. Her short story collection, Homesick for Another World, received numerous accolades, including being named a New York Times Notable Book of 2017 as well as being named a finalist for the prestigious Story Prize. Homesick for Another World was again highlighted in The New York Times in 2018 as one of the best books written by a female author in the 21st Century, with Moshfegh herself being named part of the “New Vanguard” of women who are propelling literature forward with their work. Originally from Boston, Moshfegh now lives in Los Angeles. She has received the Pushcart Prize, the O. Henry Award, and a Plimpton Prize from The Paris Review for her short fiction as well as a creative writing fellowship from the National Endowment for the Arts. 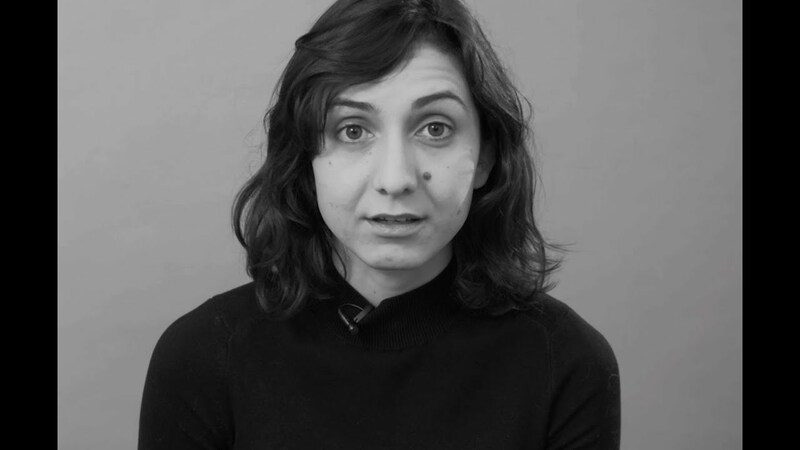 A prolific essayist, Moshfegh’s work has appeared in outlets including Vice, The New Yorker, Granta, and various online journals. Her latest novel, My Year of Rest and Relaxation, was released summer of 2018. 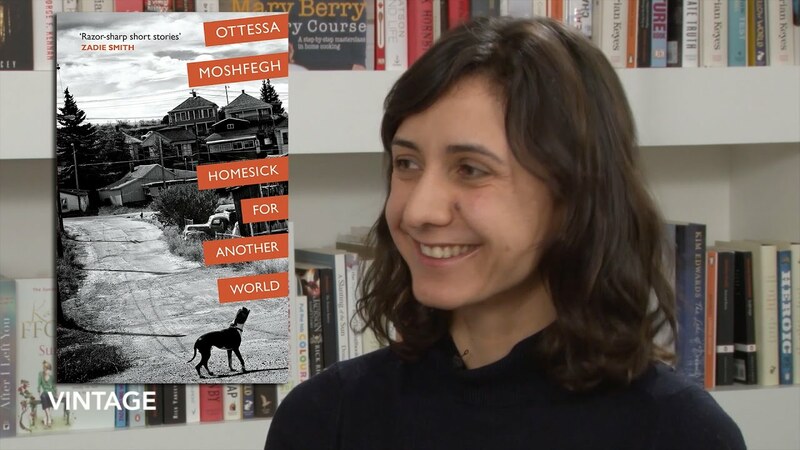 Acclaimed writer Ottessa Moshfegh reveals the craft and inspiration behind her diverse body of work which spans novellas, novels, and short stories. 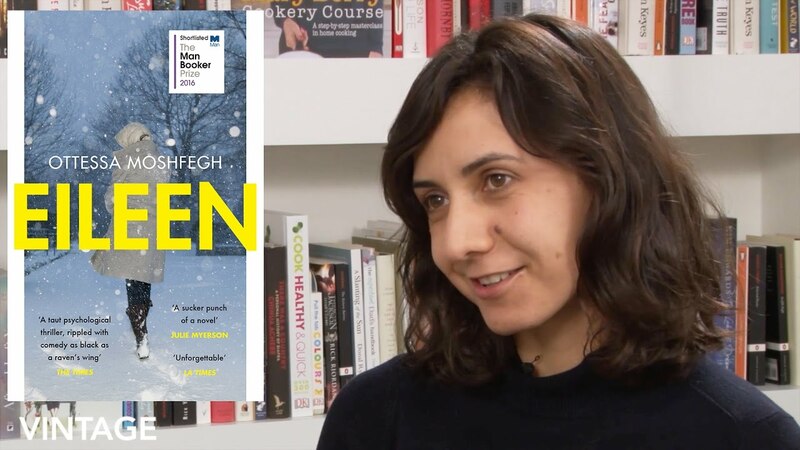 As forthright as a speaker as she is a writer, Moshfegh showcases the deliberation and care behind her writing process and invites audiences into a truly extraordinary literary mind. If she’s on downers, the prose in “My Year of Rest and Relaxation” is mostly on uppers. Like its narrator, this is a remorseless little machine. Moshfegh’s sentences are piercing and vixenish, each one a kind of orphan. She plays interestingly with substance and illusion, with dread and solace on the installment plan. This book builds subtly toward the events of Sept. 11 . . . Moshfegh writes with so much misanthropic aplomb, however, that she is always a deep pleasure to read. She has a sleepless eye and dispenses observations as if from a toxic eyedropper. Moshfegh’s ear remains as merciless as ever. Like a latter-day Flaubert, she delights in vanity and mediocrity, and in the absurdist heights both can reach whenever the occasion calls for a few sincere words. Moshfegh has a keen sense of everyday absurdities, a deadpan delivery, and such a well-honed sense of irony that the narrator’s predicament never feels tragic; this may be the finest existential novel not written by a French author. . . . A nervy modern-day rebellion tale that isn’t afraid to get dark or find humor in the darkness. You’ll emerge from this darkly hilarious novel not necessarily rested or relaxed but more finely attuned to how delicately fraught the human condition can be. Darkly hilarious . . . [Moshfegh’s] the kind of provocateur who makes you laugh out loud while drawing blood. Homesick for Another World showcases her mastery with tales of a range of creeps and weirdos in despair… This cast of boors may not be the kind of folks readers would seek out to spend time with in real life. But in Moshfegh’s stories, their company is irresistible. These stories are Moshfegh’s deepest, darkest moments of introspection. Let them in. Homesick for Another World will scorch you like a blowtorch. On second and third reading, these stories reveal coils of plain language and quick narratives tight as songs. What is at first urgent and disorienting becomes a hymn, improving with repetition, all of it worth memorizing. I can’t recall the last time I laughed this hard at a book. Simultaneously, I’m shocked and scandalized. She’s brilliant, this young woman. A fluent, deeply talented artist . . . Moshfegh quickly established herself as an important new voice in the literary world, and her concerns for those isolated not only in the margins of society but within the physical confines of the body itself mirrored the work of brilliant predecessors like Mary Gaitskill, Christine Schutt and, in some ways, Eileen Myles. Homesick for Another World continues that exploration but with a wider range, over a larger landscape. It’s a paradox that in order to locate a sense of national character—and that ever-elusive American dream—art must continually probe the places where that dream seems to have all but disappeared. The young heroine—if you can call her that—of Ottessa Moshfegh’s chilling debut is exactly the kind of woman whom noir authors tended to summarily ignore. Think of her as a Flannery O’Connor character wandering around a Raymond Chandler novel . . . Moshfegh uses that carefully constructed foundation to build a truly shocking ending, one you’ll never see coming. It’s hard to believe she’s a first-time novelist, so skillfully has she grafted disparate genre elements onto one another: psychological suspense, horror, obsession, and madness. Eileen is as twisted, dark, and unexpected as its title character. If Jim Thompson had married Patricia Highsmith – imagine that household – they might have conspired together to dream up something like Eileen. It’s blacker than black and cold as an icicle. It’s also brilliantly realised and horribly funny. Charmingly disturbing. Delightfully dour. Pleasingly perverse. These are some of the oxymorons that ran through my mind as I read Eileen, Ottessa Moshfegh’s intense, flavorful, remarkable new novel. ‘Funny awful’ might be another one. I marveled at myself for enjoying the scenes I was witnessing, and wondered what dark magic the author had employed to make me smile at them. The great power of this book, which won the PEN/Hemingway debut fiction award last month, is that Eileen is never simply a literary gargoyle; she is painfully alive and human, and Ottessa Moshfegh writes her with a bravura wildness that allows flights of expressionistic fantasy to alternate with deadpan matter of factness…As an evocation of physical and psychological squalor, Eileen is original, courageous and masterful. Eileen is anything but generic. Eileen is as vivid and human as they come . . . Moshfegh . . . writes beautiful sentences. One after the other they unwind — playful, shocking, wise, morbid, witty, searingly sharp. The beginning of this novel is so impressive, so controlled yet whimsical, fresh and thrilling, you feel she can do anything . . . There is that wonderful tension between wanting to slow down and bathe in the language and imagery, and the impulse to race to see what happens, how it happens. What makes Moshfegh an important writer—and I’d even say crucial—is that she is unlike any other author (male, female, Iranian, American, etc.). And this sui generis quality is cemented by the singular savage suburban noir of Eileen. . . . Here is art that manages to reject artifice and yet be something wholly new and itself in sheer artistry. Eileen is a remarkable piece of writing, always dark and surprising, sometimes ugly and occasionally hilarious. Its first-person narrator is one of the strangest, most messed-up, most pathetic—and yet, in her own inimitable way, endearing—misfits I’ve encountered in fiction. Trust me, you have never read anything remotely like Eileen.